Degenerative Disc Disease can go undetected or can cause pain symptoms in the neck, back, buttocks, hips, arms and legs. Physical therapy is an effective treatment. 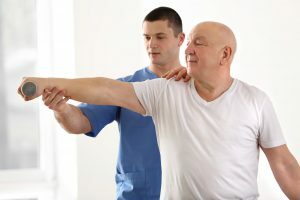 Degenerative Disc Disease (DDD) is actually not a disease but rather a common part of aging and can go unnoticed by most people. However, in some cases you may have experienced pain that originates in your back and travels down your lower back, buttocks or legs. It can also originate in your neck and travel down your arms. Inflammation or instability around the affected spinal disc(s) can cause muscle spasms, pain, and limited back and neck movement. 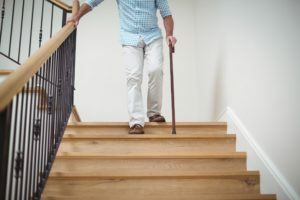 While degenerative disc disease may be part of aging, back or neck pain from this underlying condition shouldn’t keep you from doing activities you love or living your life daily to the fullest. Disc degeneration progresses over time as we age. The discs in your spine are composed of a nucleus (inner jelly-like substance) and an annulus (dense fibrocartilage) which act as shock-absorbers that sit between the vertebral bones in your spine. The nucleus can adapt to the different loads you place on your spine. At birth our spinal discs are made up of 80% water and as we age these discs dry-out; leaving you with less shock absorption and susceptible to small tears in the outer annulus. Certain factors (listed below) can increase the rate at which your discs degenerate leaving you at higher risk of back or neck pain and decreased range of motion. Did you know that often patients show degenerative disc disease on a scan but may not be presenting with symptoms yet? 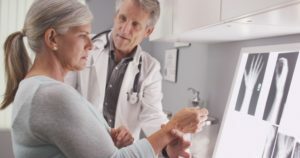 A physical examination and assessment by a Bourassa & Associates university trained physical therapist can help determine if you present with degenerative disc disease. Alternatively, if you are currently living with back or neck pain we can design a tailored treatment plan to decrease your symptoms today. 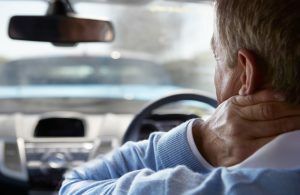 Seeing a physical therapist at the onset of back pain or neck pain has been proven to speed up recovery and also prevent the problem from recurring. At Bourassa & Associates, you can get started the same day you call, no doctor’s referral needed. Find a clinic near you to book your appointment and get started today. With 30 years of experience we can help you manage your symptoms, improve your quality of life and minimize your pain.